The Eagle Pharmacy was founded by Jozef Pankiewicz in 1909. From the very beginning it was located in the corner building at 18 Little Market Square in Podgorze, then a separate city. 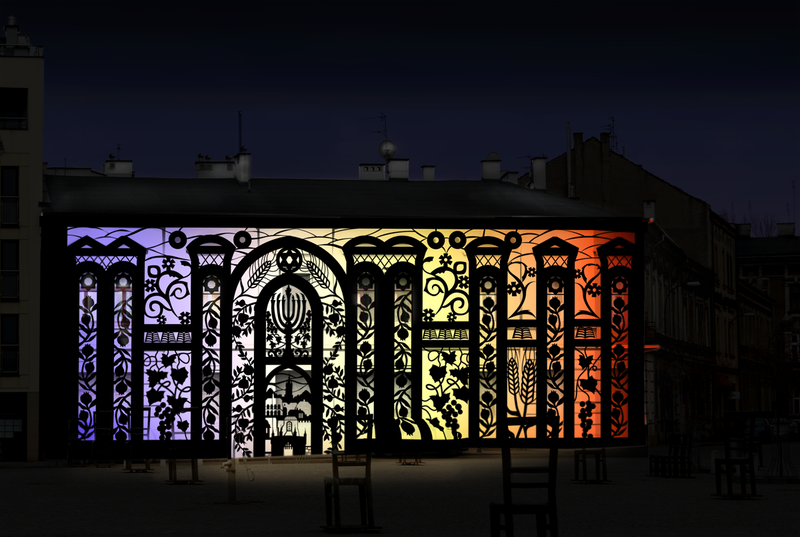 When Podgorze was incorporated as a district of Krakow, the address was changed into Zgody Square. 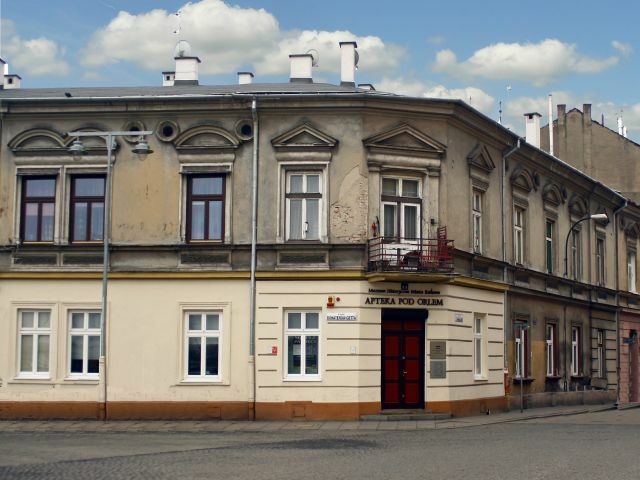 It was the fourth pharmacy in Podgorze, providing medicine for Poles and Jews alike. 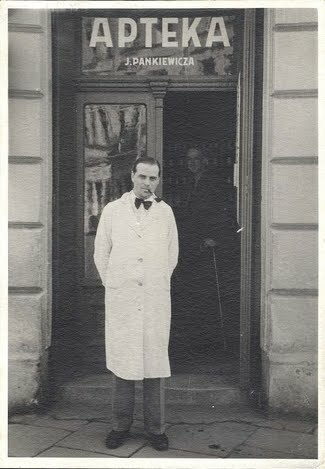 In 1930, Tadeusz Pankiewicz, son of Jozef, began to work in the Eagle Pharmacy, after graduating from the Jagiellonian University. With the beginning of 1934, he took over the duties of the pharmacy manager after his father. After the outburst of World War II, the Eagle Pharmacy continued to operate and to provide medicine for Jewish people. When the Krakow ghetto was established in the district of Podgorze in 1941, Tadeusz Pankiewicz was the only Pole living within ghetto’s borders. His pharmacy was also the only one still functioning. Tadeusz Pankiewicz received a special permission from German authorities to still sell pharmaceuticals to Jews and to keep his pharmacy open 24/7. The Eagle Pharmacy quickly became a secret meeting place for the Jewish intelligentsia living in the ghetto. Exceptional individuals of the Jewish community in Krakow, such as Mordechai Gebirtig, Abraham Neumann or Julian Aleksandrowicz, would meet and discuss there to have at least a taste of their previous lives. Is was also the heart of contraband in the ghetto. Tadeusz Pankiewicz and his assistants – Aurelia, Irena and Helena, were smuggling food for Jews in a disastrous situation in the ghetto, passing information in and out, as well as provided medicine often free of charge. It was also where Pankiewicz would from time to time hide people from deportations to death camps, such as Auschwitz Birkenau or Plaszow. After the war, Tadeusz Pankiewicz continued to manage his pharmacy. Up to the 1950s, all of the Polish economy was nationalised due to communist rule that came after the war. This included the Eagle Pharmacy, however, Tadeusz Pankiewicz was still working there. He became a known person in Krakow, maintained friendships with many artists and was always open to those who wanted to meet with him. In the 1960s and 1970s, he performed as a valuable witness in trials against German occupants. For his actions, Tadeusz Pankiewicz was named „Righteous Among the Nations” in 1983. In the same year, exactly in the premises of the former Eagle Pharmacy, Museum of National Remembrance was opened. 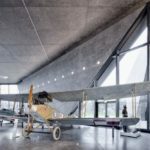 In 2004, it was turned into a branch of the Historical Museum of Krakow. After a series of refurbishments, the original interior of the Eagle Pharmacy was recreated. Considerable financial contributions for establishing a museum there were made by Steven Spielberg and Roman Polanski, who had escaped from the ghetto as a child. The museum shows how the pharmacy looked and functioned in the times of Krakow ghetto. Interior of the Eagle Pharmacy was recreated in accuracy with photographs and memoirs of Tadeusz Pankiewicz and his assistants. It is complemented with an exhibition dedicated to Holocaust. Using photographs, letters, various documents, as well as short archival films, the life of the Jewish community in the ghetto was reintroduced in the Eagle Pharmacy. Through the history of a particular pharmacy, the exhibition tells the story of the Krakow ghetto and Holocaust. The Eagle Pharmacy is one of the components of the Memory Trail. 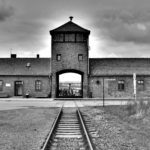 It is a special route created to tell a comprehensive story about the horrific times of World War II. Established by the Historical Museum of Krakow, it features the Schindler’s Factory, former Gestapo headquarters at 2 Pomorska Street and the Eagle Pharmacy. It is also where each year events dedicated to the memory of those who lost their lives in World War II take place. Today’s address of the Eagle Pharmacy is 18 Ghetto Heroes Square (in Polish Plac Bohaterow Getta). The square was turned into a large art installation, commemorating victims of the Holocaust. Inspired by descriptions of lots of abandoned furniture and personal belongings strewn around the square after the liquidation of the ghetto, the installation comprises dozens of large iron chairs. * The museum is closed on every second Tuesday of the month and on public holidays in Poland. * Free admission on Tuesdays. Visit in the Gestapo prison cells is free of charge. * Tickets are valid for 7 days. Admission to each branch is granted upon showing the receipt.